Will you join the Defence Against Religious Extremists (DARE) and support Ian by donating and sharing this appeal? We have a David vs Goliath situation here. Our David is Ian McKay, an academic who has been researching the teaching and practices of an extreme fundamentalist religious organisation for some years. The Goliath of this tale is the Hales branch of the Exclusive Brethren. Ian has been observing the practical effects of the Brethren’s doctrines and is of the opinion that many of their teachings are false, some immoral and their net effects are harmful. 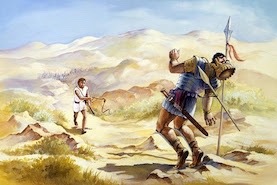 Goliath does not like his conclusions! Acting through two of their organisations, UBT and BGT (the latter of which is supposed to be a charity!) they are taking him to the Court of Session in Edinburgh in an attempt to confiscate from him crucial parts of his research material, which would severely hinder his revealing work. They are alleging copyright infringement, which any local Sheriff Court would be competent to adjudicate on at a fraction of the cost. And the UKIPO mediation service is cheaper still. But they are taking him to the Court of Session, the highest and most expensive court in Scotland. Why are they going for the most costly option? Do they hope to bankrupt him, or perhaps scare him into giving them information about the sources of his research material? They have even split the case into two separate summonses, which inflates the costs even more. UBT and BGT are demanding that Ian pay them hundreds of thousands of Australian dollars in compensation. They would be lucky to get a small fraction of that, but Ian’s legal costs could be almost as much. This awful attack is taking a financial and emotional toll on both Ian and his wife Sylvia, so please give generously to support them. Where will my money go and what will it be used for? Jill Aebi-Mytton and one other trustee who are friends of Ian and Sylvia McKay and also former members of the Brethren will manage the fund. Withdrawals from the fund will be overseen by Jill Aebi-Mytton to a specially set up bank account. Any payments to cover amounts invoiced to Ian and/or Sylvia will be approved by both account holders. All moneys will be used to pay for Ian's legal costs. If there are any funds remaining after the legal process is settled, it will be either returned to the donors (if so wished) or used to cover any future legal costs arising out of any litigation taken by the Brethren against any other former member of the group. Several of us have been on the receiving end of lawyers’ letters. Please note that if you want to donate anonymously you need to tick a small box underneath where you put in your first name. Ian has worked tirelessly for years collating information about the Exclusive Brethren (renamed Plymouth Brethren Christian Church, or PBCC), for all those who wish to know more about the PBCC. Last year just before Christmas, several of us received lawyers' letters containingthreats of legal proceedings against us from the PBCC because we had been sent emails which contained information the PBCC didn't want us to know. We'd done absolutely nothing wrong. The Brethren are a wealthy and litigious group, which is an unhealthy combination. 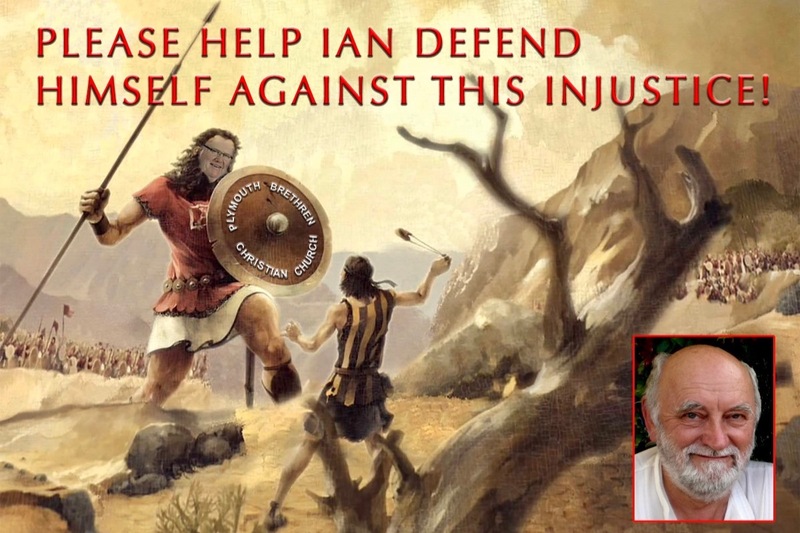 Ian needs all the help he can get to defend himself against them. Please support him if you possibly can. He could lose everything over this and he does not deserve it. Every little helps. Together we can make a difference. Just to let you all know that mediation is still continuing. I trust you all saw the two newspaper articles - if not the links are on the fund page. We need to renew our efforts to raise money for Ian. The costs are rising. Many thanks to you all for your generous donations. Anything you can do to help me share the fund please do and let me know. Just to let you know that the mediation attempt began on Wednesday 13 December and is still in progress. This is bound to mean higher legal fees for Ian. Please help me share this campaign.